In March 2013 the European Commission adopted a number of proposals to recast the Directive to approximate the laws of the EU Member States relating to trademarks (now codified as Directive2008/95/EC), and to revise the Regulation on the Community trademark (now codified as Council Regulation (EC) No. 207/2009) and the Regulation relating to fees (codified as Commission Regulation (EC) No.2869/95). The aim of the proposals is not to create a new system; instead they intend to modernize the existing provisions to make the trademark registration system in Europe more accessible, coherent and efficient. The OHIM will change its name to the ‘European Union Trade Marks and Designs Agency’ (or ‘EUTMDA’) and the terms Community trademark and Community Trademark Court will be changed to "European trademark" and "European Trademark Court". The number of classes covered by a trademark application fee will be reduced from three classes to one, and the application fee will be lowered to reflect this change. The requirement that a sign be capable of being represented graphically will be eliminated. Trademarks applied for in a foreign language will not be granted protection if refused on absolute grounds once the mark is translated into an official language of an EU Member State. The new legal texts will codify the EU Court of Justice’s ruling in the "IP Translator" case (literal interpretation). The applicants must specify the goods and services to be covered as opposed to using the general class heading. The owners of CTMs applied for prior to 22 June 2012 will be given a term (probably around six months) in which to evaluate and reformulate the list of goods and services. - CTM infringement actions shall be brought without prejudice to any existing prior rights (article 16 (1) of the TRIPS agreement). - In cases of double identity and similarity (in relation to the signs and goods and services in question) the only criteria applied shall be the origin function (the functions of advertising, communication and investment shall no longer enjoy protection). - The use of a protected mark as a trade name shall be considered an infringement. - The "own name" defense shall only be applied to personal names. - Rights holders will be able to prevent the use of their marks on illegal comparative advertising. Grounds for refusal shall be adapted to European laws with respect to geographical indications and traditional terms in the wine sector and other specialist sectors. Geographical indications and designations of origin protected under EU laws shall be considered applicable as relative grounds for refusal of registration and may thus be cited as possible bases for opposition. European certification marks, which currently exist at a national level only in some Member States, are introduced throughout the EU. - Member States shall establish an administrative procedure for the invalidation and revocation of trademarks (rather than court procedures). - Ex officio examinations by national offices shall be limited to absolute grounds for refusal. - The option of applying for European trademarks via National Offices shall be eliminated. - Rights holders will be able to oppose the transit of counterfeit goods throughout the EU customs territory, irrespective of whether or not the goods had been released for free circulation. - Rights holders may also prevent the import of counterfeit goods to the EU even if the sender is acting for commercial ends (with a view to combating the sale of counterfeit goods online). - Rights holders may prevent the distribution and sale of labels and packaging that may subsequently be used in connection with counterfeit goods. 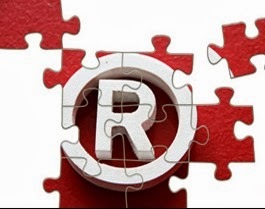 Incorporation of new rules relating to the use of trademarks for commercial purposes. It is expected that the above proposals will be formally adopted in spring 2014. Once these proposals are adopted, the EU Member States will need to incorporate the provisions of the new trademark directive into their respective national laws within a term of two years. Most of the amendments to the new Regulation on the European Trademark, meanwhile, will come into effect after its entry into force in 2014.